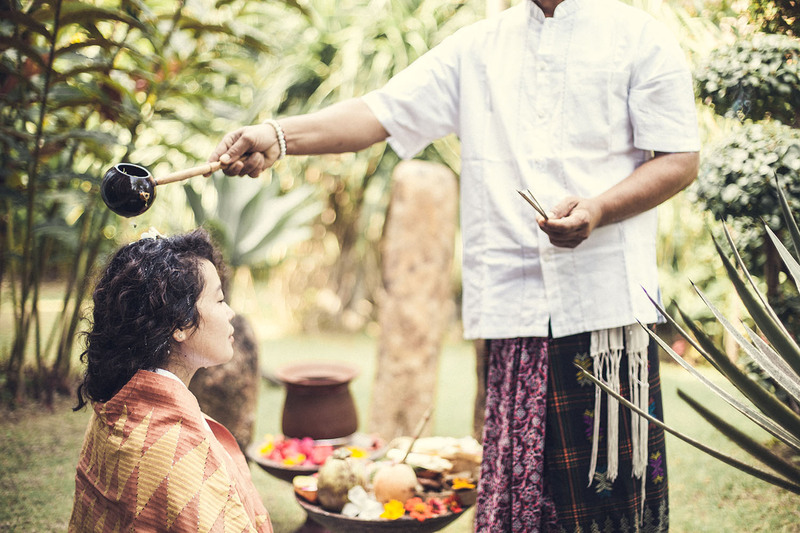 Desa Seni’s Merapu Svaasthya spa program offers traditional and holistic treatments with Western and Eastern therapies, where healing and health are a focus, bringing together a team of specialists to restore and revitalize the body, mind and soul. Come nurture the soul. Begin with a Hot Stone Massage; take a break at the salt-water pool with a nourishing organic tea followed by an organic lunch. Meandering back to the spa, a facial, a manicure, and a pedicure await you. 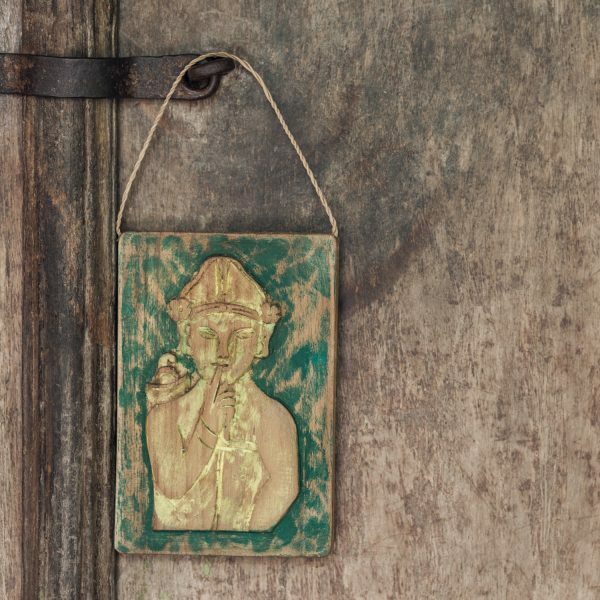 Spend a full day at Desa Seni that starts with a wonderful private yoga, meditation or pranayama class. Relax and unwind by the pool with an organic homemade tea, followed by an organic lunch, poolside or in the restaurant. Wander up to Merapu Svaasthya and indulge in a Polish Ritual of your choice. Rewind, replenish and restore the soul! Relax the mind with a guided meditation to release the thoughts and stop the over active monkey mind. Take some time for yourself at the salt-water pool with organic snacks and tea. Stroll up to Merapu Svaasthya for a Chakra Healing. Go Home and sleep like a baby! Come join either a morning or afternoon yoga class. Relax afterwards with some organic tea and an energy ball. Follow this with your choice of a Desa Seni Signature massage or reflexology. Breathe, Flow, Expand, Nourish and Live! The above day packages are inclusive of 21% government tax and service. A firm and deeply therapeutic massage using a combination of techniques designed to relieve tension within muscles, tendons and ligaments. By touching upon the pressure points of the body, muscle soreness and tension will dissolve as your body is returned to balance. A relaxing and revitalizing experience! Deep tissue massage is a therapy that focuses on realigning deeper layers of muscles and connective tissue. It is helpful for chronically tense and contracted areas. When there is chronic muscle tension or injury, there are adhesions in muscles, tendons and ligaments. Adhesions block circulation and cause pain. Deep tissue massage works by physically breaking down these adhesions to relieve pain and restore normal movement. Hot Stone Massage is a style of massage therapy in which heat treated stones are placed on the body to promote relaxation and to open up the meridians (energy pathways). Hot stone therapy melts away tension, calms the psyche, releases toxins in the body and increases circulation and metabolism. Our professional massage therapists also incorporate a customized massage, with the use of the hot stones that offers enhanced benefits. The direct heat of the stones relaxes muscles, allowing the therapist access to the deeper muscle layers. The hot stones expand blood vessels, which encourages blood flow throughout the body. This treatment, while concentrating on the feet and hands, focuses on the internal organs of the body. By massaging the pressure points in one’s feet and hands, the therapist is able to stimulate blood flow, release tension, and promote healing by focusing on all the organs of the body. Aromatherapy massage involves gentle manipulations of the soft tissues with essential oils doing the work! 100% pure extracts from plants, trees or flowers are applied on your skin, diluted with virgin coconut oil. These oils through their scents, stimulate the body and mind, further heightening your sense of relaxation and wellness. Aromatherapy massage not only has powerful physical, emotional and mental effects but it is also described as a great relaxing and rejuvenating experience. The benefits of aromatherapy massage affect a wide range of health conditions including the nervous, circulatory, lymphatic, immune and muscular systems. Aromatherapy massage aids in mental clarity, relaxation, stress and headache alleviation. Choose the oil according to your needs as each one has particular healing properties. Lavender has a calming effect while lemongrass is uplifting. Your massage therapist will conduct a short consultation with you in order to select the essential oil specific to your mental and physical needs. Do you want to feel light, relaxed and energized again? Muscle tension, aches and pains can often hold us back from doing the things we want or need to do. Our head, neck and shoulder massage is beautifully relaxing and targets all the places you hold the most tension – the head, neck and shoulders. Choose your desired level of pressure, whether you need a strong massage to relieve built up tension, or a gentle and tranquil experience if you just need a break from busy life. Herbal healing has deep roots in the Asian culture. Herbal heat compress is the best-known traditional therapy. This dates back to ancient times when it was the secret healing technique of Buddhist monks, local herbal healers and midwives. The treatment begins with a deep-pressure massage, then a unique poultice of steamed fresh local herbal ingredients applied to help sooth and relax muscle tension and other aches and pains. Aromatic camphor in the compress eases respiration. The combination of herbs we use in this massage has been developed over the years and is a secret blend passed down from generation to generation. Traditional Balinese culture has utilized the banana leaf as an integral part of village life. Every village has a grove of banana trees and the leaves have been used extensively for cultural, spiritual, medicinal and practical applications. We use banana leaves in this unique body wrap treatment, which combines the use of massage, banana leaves, coffee scrub and papaya to rehydrate and replenish your skin. Banana leaves contain large amounts of polyphenols such as epigallocatechin gallate (EGCG). Polyphenols are natural antioxidants found in many plant based foods. EGCG belongs to the family of catechins. It contains 3 phenol rings and has very strong antioxidant properties. 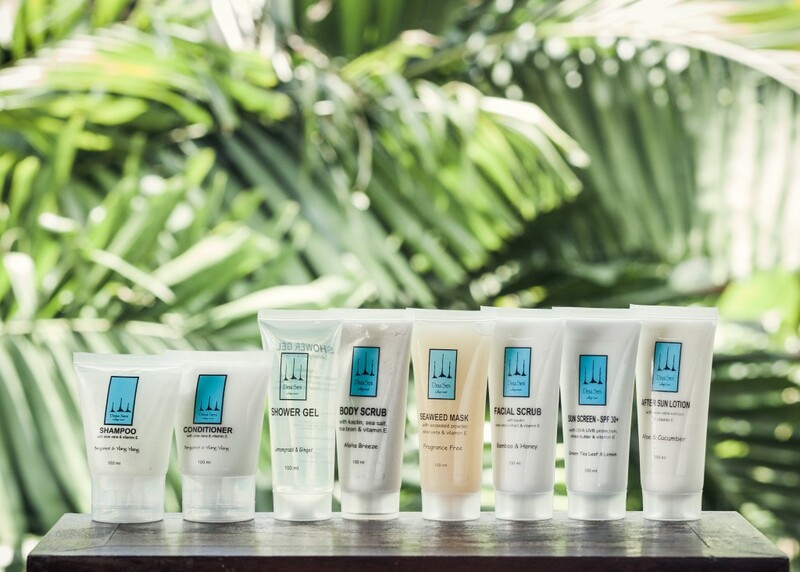 Our Desa Seni Signature Massage followed by a sea salt scrub rich in minerals and combined with jojoba oil to ensure perfect exfoliation, revealing your skin’s natural healthy radiance. This full body treatment encompasses all the benefits of the massage increasing your body’s metabolism which helps circulation, enhanced by the sea salt scrub thereby nourishing and cleansing your skin fully. This traditional Balinese remedy is used as a healing art and made from a medley of warmed spices indigenous to the island of Bali. The Boreh paste is lathered over your entire body and massaged in a rhythmic motion to warm the skin and thereby remove dead skin cells, improve skin tone, and soothe the muscles. A traditional massage teamed with the Javanese Lulur body scrub makes a dynamic duo of deep purification and exfoliation. Enhanced with the combination of traditional spices and roots, this healing art works well in eliminating dead skin cells and procuring new cells. This treatment is followed by a refreshing yogurt moisturizer restoring the skin’s natural Ph Balance. This marine and seaweed body fortifies the body with trace minerals and vitamins, cleanses and improves circulation, while deeply detoxifying the body through metabolic stimulation. 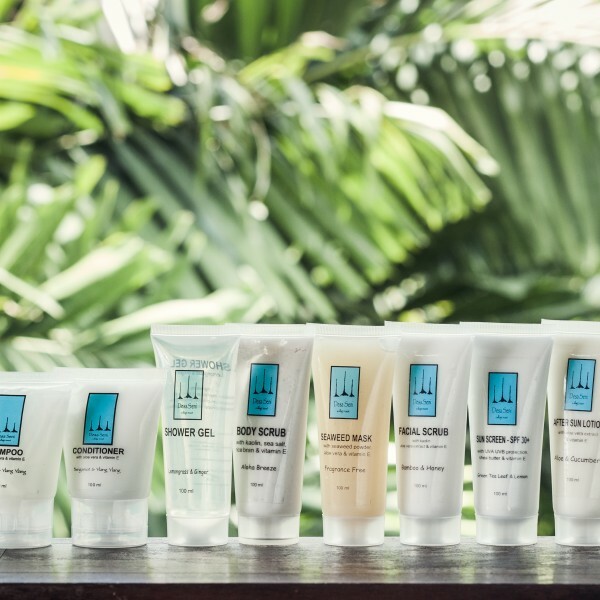 Enjoy a dry rub exfoliation along with a salt body scrub followed by a seaweed body mask. Enjoy a soothing neck, scalp and face massage while you are nourished in the warm body mask. Sit back and relax while you soak your hands in a warm flower bath. A revitalizing hand massage follows which relaxes the tension in the hands and joints. This therapeutic hand treatment repairs, restores and stimulates both skin and nails and also includes nail buff, cuticle care and colour. 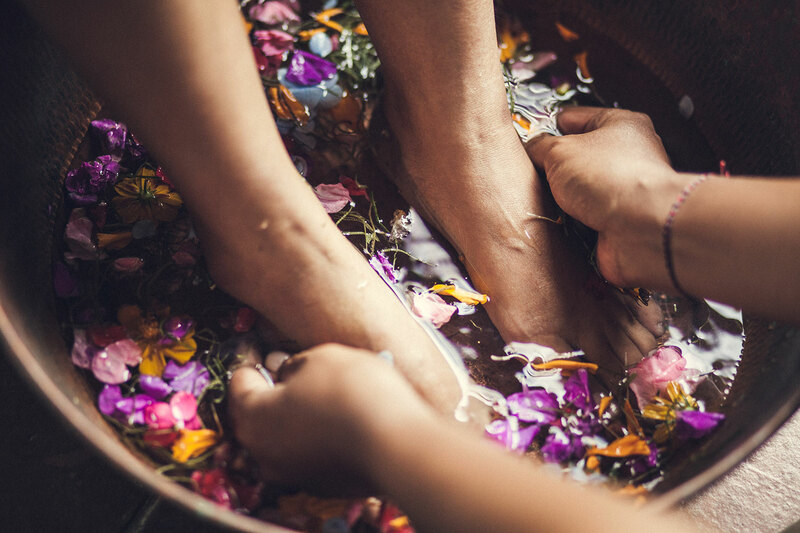 Soak away tension in a warm flower footbath and treat your feet to this wonderfully relaxing and grounding experience. Includes pressure point foot massage and an exfoliation to remove toxins and smooth the skin, leaving the feet feeling rejuvenated and refreshed. Includes nail buff, cuticle care and colour. Sit back and select the nail colour of your choice and enjoy some pampering. Specifically designed for those who have gotten too much sun and are feeling the burn. Come relax in the spa and be soothed while the therapist lathers you up in a homemade organic cooling mixture of yogurt, honey, aloe, and cucumber. The ingredients will soothe and refresh you as your skin cools and is nourished. Dating back to ancient times, the spiral of the cone and the herbal smoke in the ear canal work together to draw out physical and emotional debris. Excellent for sinus problems, ear infections, hearing difficulties and headaches. Lie down and relax as we massage any tension from your neck and shoulders and clear out any blockages. A real indulgence that is truly beneficial for your face and skin. This treatment starts with an Aloe Vera extract cleanser and is followed by an exfoliating scrub. A gentle massage is next before applying an organic mask that acts as an excellent pollution detoxifier removing dead skin cells and creating a healthy glowing complexion. Lie back and relax while the mask sets and your arms and hands are gently massaged. After the mask is removed, a toner is applied to help fight the premature signs of aging. Fresh aloe vera is finally applied to finish off the treatment. All the products used in this facial are our own organic products from our farms. Hair Cream Bath is considered one of the most effective treatments to maintaining healthy hair and scalp. A mixture of natural, organic ingredients such as Virgin Coconut Oil, Aloe vera and ginger is applied to the roots and massaged onto the scalp and the length of hair for nourishment. After the cream is applied, the scalp will be massaged. To maintain warm temperature of the cream in the hair, your hair will be wrapped with a warm towel. The therapist will massage your neck and shoulders while the cream is thoroughly into the scalp. We will then wash off hair and dry lightly and apply an organic lavender essential oil hair tonic. Massaging your hair with the organic, home made Cream, deeply treats and engorges the fibers with nutrients and moisture for healthy, soft and shiny hair. 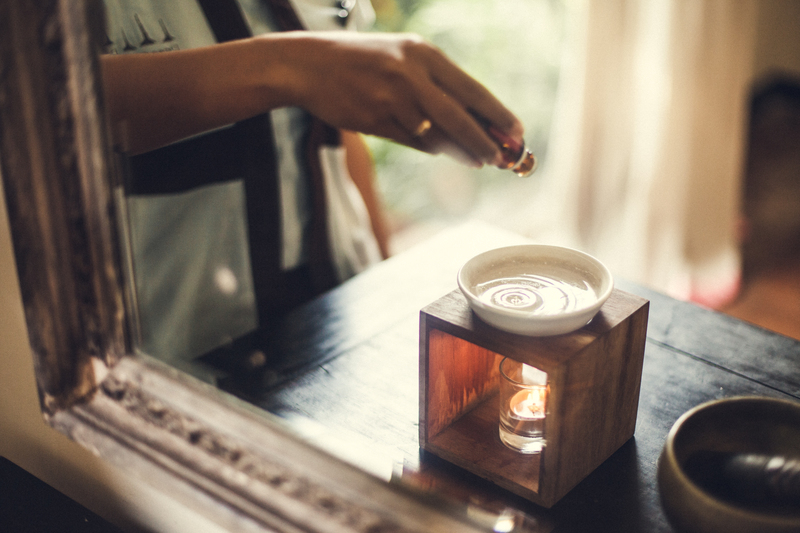 The healing begins, after an initial consultation, with an aura cleansing using Balinese holy water, young coconut and a traditional Balinese offering, followed by a warm salt-water footbath to remove toxins from the body. 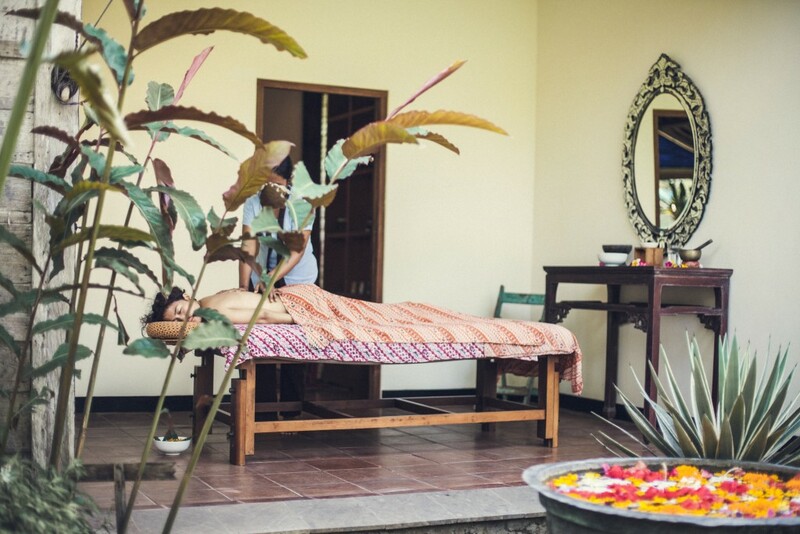 By using the Balinese art of Prana (similar to Reiki) the healer is then able to open and align the chakras, resulting in balancing and harmonizing one’s physical, emotional and spiritual well-being. This cleansing and balancing aids in removing stress and heaviness from our mind, body and spirit. This process is achieved through the subtle manipulation of the vibrational frequency; as the aura rises, the mind and body can be healed and transformed. The body washed with water, the mind cleansed with honesty, the soul cleansed with science; all cleansed with wisdom.” A Melukat ceremony aims to cleanse and purify the human body and soul in order to prevent havoc, bad luck and sickness by washing the body in holy water. The havoc caused by acquired activities and sins, whether originating from present life or from past lives. The Melukat ritual is an effort of achieving self-purification and can be performed many times, according to the situation, needs and goals. The priest uses blessings, prayer, and worship to call on the Divine Spirit (Ida Sang Hyang Widhi Wasa) through offerings of flowers, incense and mantras chanted in Sanskrit. Following the mantras, you will receive a holy water cleansing of the physical body (sekala) and psychological body (niskala) as blessed young coconut water is poured gently and gradually over your head and body. *Guests are required to wear a sarong and sash, both provided by Desa Seni. ++ Subject to 21% government tax and service.